In September several thousand students called upon a major research university in the US, the University of California (UCLA), Los Angeles, to drop its patent claim filed in the Delhi High Court (HC) for enzalutamide, a prostate cancer medicine. They sent a letter signed by 3,500 students urging UCLA President Janet Napolitano to drop a patent claim in India to allow generic drug companies to make affordable versions of the medication more widely available. 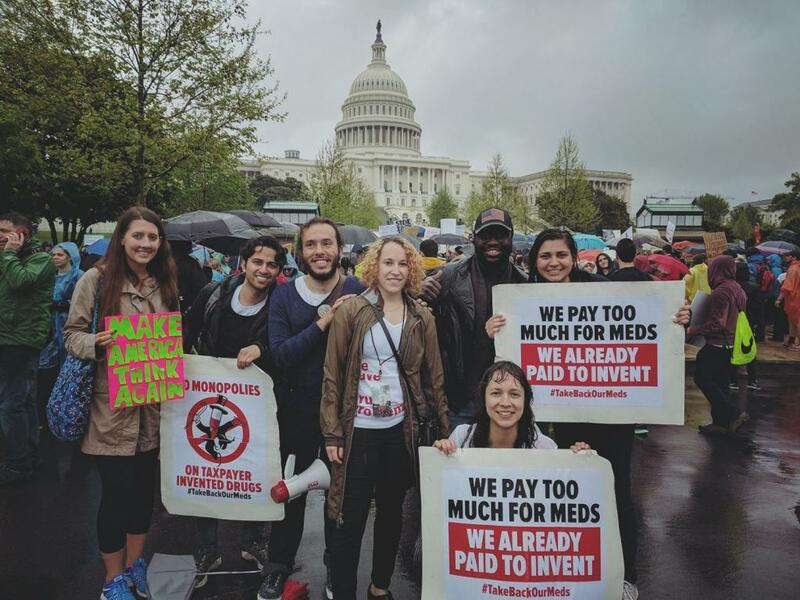 The students, coming under the umbrella of Universities Allied for Essential Medicines (UAEM), are magnifying the concerns of healthcare professionals, academics and advocacy groups, who have been urging ULCA to put patient lives before corporate profits. All of them want ULCA to drop a patent claim it has filed in the Delhi HC for a widely used prostate cancer medicine. Enzalutamide is a publicly-funded drug discovered by the university campus, but marketed by Pfizer and Astellas at exorbitant rates. In the US, it sells for as much as US $150,000 for annual treatment, while in India where the drug is marketed as Xtandi, it costs about Rs 2.8 lakh for a month’s course. The basic science for Xtandi was developed by UCLA with public funding from the National Institutes of Health and Department of Defence. It raked in more than half a billion dollars by licensing the drug to biotech company Medivation, which was later acquired by Pfizer. India’s patent office, however, rejected UCLA’s patent application in 2016 on the grounds of that it had failed the test of “non-obviousness”, a point made by Indian drug companies, which had opposed the university’s patent claim. The Regents of UCLA then challenged the denial of patent in the Delhi HC, bypassing the Intellectual Property Appellate Board (IPAB), which is the normal route for seeking reviews. In this detour, it was helped by the Union government that had rendered IPAB non-functional by failing to fill the top posts that had been lying vacant for over 18 months. UAEM is demanding UCLA withdraws its patent suit, reminding the university that it had adopted licensing guidelines that “ensure an appropriate return of taxpayer investments in university research” by protecting the interests of patients and the public. It fears that the UCLA patent push would prevent generic production of the drug in India, which has acted as a pharmacy of the world, supplying inexpensive medicines to millions in low-and middle-income countries. Activism could prove a potent weapon in the fight against Big Pharma’s predatory pricing policies. UAEM is global group that is active at over 100 research universities in more than 20 countries. It is not the only segment fighting the prohibitive costs of new drugs. In August, during a meeting held at Georgetown University, Washington, there was a wider collection of citizens campaigning for “Affordable Meds Now” in an initiative that brought together civil society activists, doctors, patient groups, lawyers and key lawmakers, to push for reforms in drug pricing. 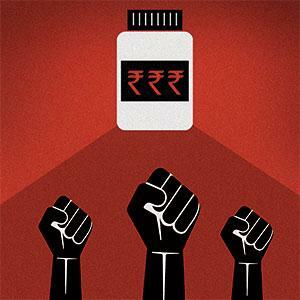 In India, patient organisations and advocacy groups have been fighting with the support of lawyers, but have not been able to draw in parliamentarians or the medical fraternity into the struggle for wider access to medicines. That needs to change. (This article was first published in the 16-31st October issue of Down To Earth under the headline 'Is activism the cure? ').